Originally designed in the eighties for bicycle couriers in the big cities, their clothing style and equipment quickly became more and more popular outside this professional group. 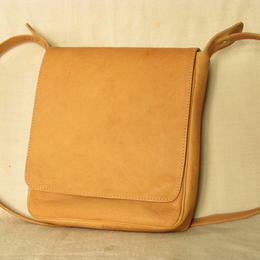 Today's messenger bags or courier bags are a fashionable approach to the traditional briefcase in form and function. 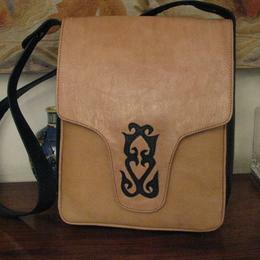 Their basic rectangular shape, straight lines and format are very similar, but there are also some differences: If the briefcase usually only had a carrying handle and was carried either in the hand or under the arm, modern courier bags have an adjustable shoulder strap and are generally carried either across the body as a cross-body bag or as a shoulder bag over the shoulder. 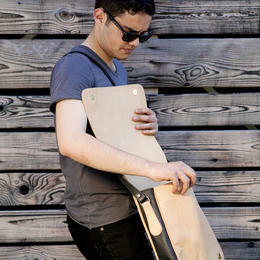 They can therefore be used more flexibly, for example on bicycles or public transport. 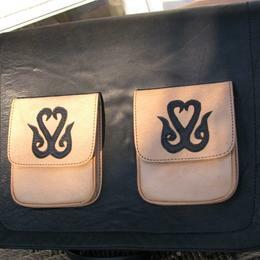 Mostly filled with papers and computers on weekdays, courier bags are transformed into modern shopping companions at the market or in the shopping centre. 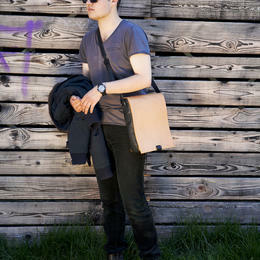 The wide range of possible uses led to corresponding fashion changes: Messenger Bags are no longer boring office utensils and have become a modern and indispensable fashion accessory. 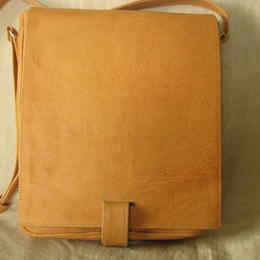 Just like the rest of the clothing and shoes, these bags provide information about style and professionalism. The spectrum ranges from vintage to business punk in a wide variety of colours and materials. 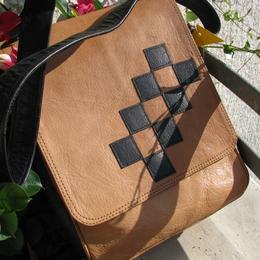 Only the right bag makes the outfit complete and gives the desired impression. 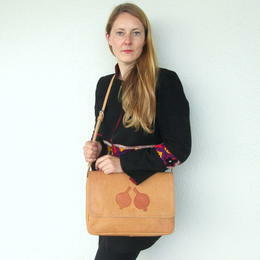 Bags make people! 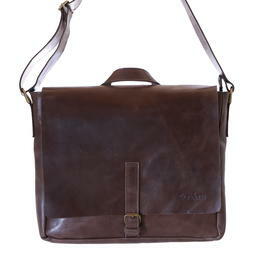 German messenger bags made of genuine leather, just like the classic briefcase, stand for a sophisticated style and represent a successful compromise between leisure and business suitability, between casual and discreet. 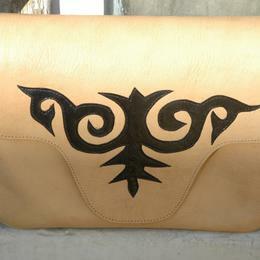 In addition, leather is a natural product and with proper care (our care products from Tapir) is much more durable. Although courier bags are basically unisex in design and equally suitable for him and her, models with a very straight cut still predominate in this category. 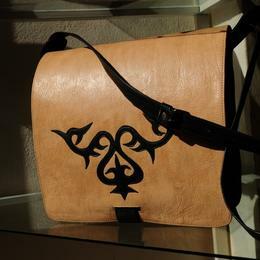 Nevertheless, there are combinations of leather with embroidery motifs, appliqués and softer, more feminine lines. 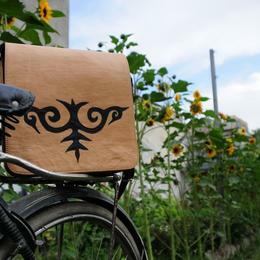 The basic shape and format of the Messenger Bags have the following advantages: they are light, stable, water- and dirt-repellent and are the ideal size for the A4 format. The interior separation with slide-in pockets and room dividers ensures clear storage of files, folders, magazines and books. 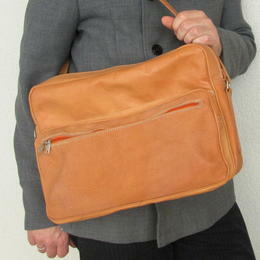 Small zippered inner pockets can hold pens, wallet and mobile phone. Due to their rectangular shape, courier bags are also ideal for transporting laptops, tablets, smartphones and accessories, which are nowadays standard equipment in shops, offices and universities. 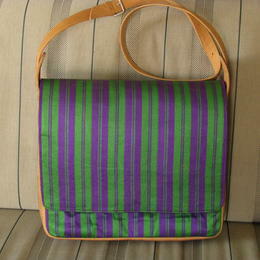 Some so-called laptop messengers have a padded compartment for these devices. 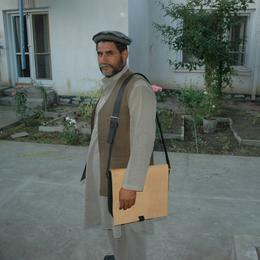 If you pack your computer in a protective case, you can easily carry it in an unpadded messenger bag. Whether you need an elegant bag for work, a solid bag for computers or documents or a timelessly beautiful all-purpose bag, Gundara offers you a large selection of business and laptop bags in classic, discreet designs and colours. 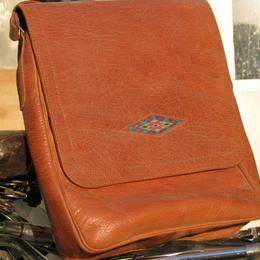 They consist of more casual cuts and stronger colours that not only make you look good, but also reliably protect your valuable computer and come from fair trade!